Welcome to Long Beard Taxidermy. We are located in the heart of whitetail deer and wild turkey country in Pike County, Illinois known for producing some of the largest whitetail deer ever harvested in the Midwest. We strive for the best. We are the only full time studio in the state operating 7 days a week. We believe in what we do so much it’s a way of life. 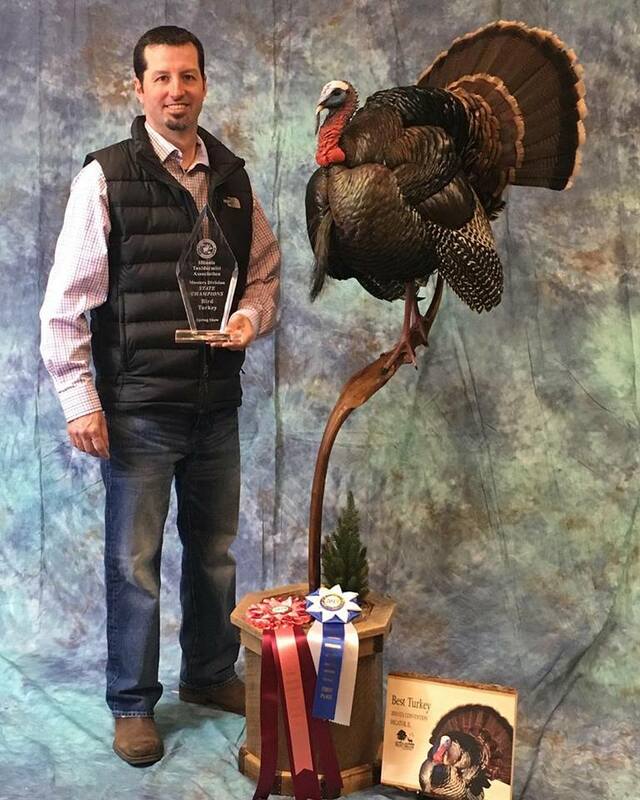 Born and raised in Pike County with a college degree in wildlife biology and small business, Jeremy has built a business that has proven itself; touching the roots of who we are, where we need to be and being blessed with a gift in the art of taxidermy. We opened business in 2002 I opened full time in the winter of 2004. Our new state of the art studio was built from the ground up in 2006 and sits on 13 acres with room to expand our operations. We are the largest taxidermy studio in the state and operating 7 days a week with one on one service that’s unbeatable. Our repeat clientele ranges from a wide variety of people from all over the country from TV personalities to professional athletes and professional hunters each and every person is greeted with the upmost respect and welcome to stop in and check out our up to date show room reaching 1,100 sq. feet with lots of monster bucks, wild turkey, and life size animals on display for our clientele to enjoy. With our extensive training in taxidermy and business, we keep up to date to the most current techniques used today. We compete at the state Illinois, Missouri, National, and World levels to assure the highest quality known at that time. 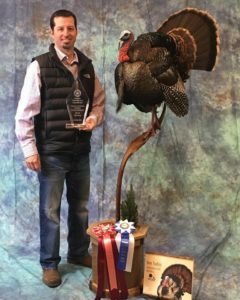 Jeremy has earned recognition with his work throughout the years with several awards and first place categories, award of excellence, as well as received training from some very well accomplished taxidermists. It’s not what you think you know, it’s what you will learn in the process. We like to say we are a taxidermy studio. We have taken in and mounted some of the most sought after game in the world from African Game, New Zealand Red Stag, Alaskan Musk ox, Alaskan Brown Bear, Black Bear, Sheep, Rocky Mountain Elk, Alligator, and many more. Pricing at this point shouldn’t matter. You’ve spent endless hours in the stand, walked mile after mile, spent countless nights tracking. Why cheap yourself through the final product of the trophy of a lifetime you have worked so hard to harvest? Price shouldn’t matter, quality does. Our turnaround is roughly 14 months to year, give or take. Why? Because our season doesn’t stop. We like to work with our clientele to get the pose of species, wall bases, floor bases and habitat to meet their needs. We do not like to cheap our way through this process. It brings out the best in our work and looks outstanding in your home. A quote we love is, “The quality is there every step of the way. If it takes six months or two years to complete, it still takes the same amount of time to get it done”. Our work, Our Studio, Our Show Room, Our Name speaks for itself. The reason we built what we did is because we wanted the wow factor from clientele when they stop in. Over the years we have developed a system that works for US. Some try to copy it and it doesn’t work for them; it’s because we built it to our needs, our operation, our clientele, and our productivity. There’s no need to bash us because we built our business to our client’s needs and wants. We would also add: We are not a cookie cutter operation. We strive for the best and only the best art possible. That’s Why Long Beard Taxidermy is Worth Every Penny.